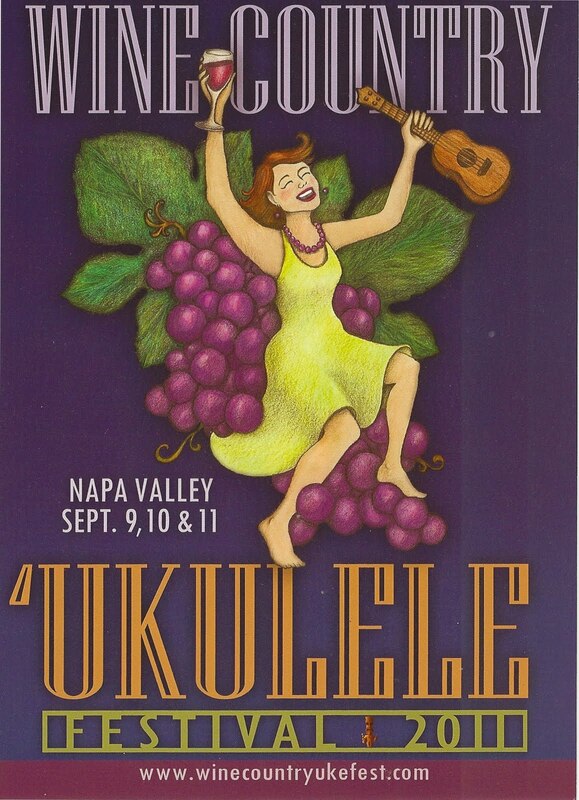 It’s finally here, the 2011 Wine Country Ukulele Festival in the beautiful Napa Valley of California. This superbly run event kicks off Friday night at the Napa Valley Opera House with a concert featuring James Hill, Anne Davison, Gerald Ross, Lil’ Rev and Aaron Keim. Saturday and Sunday will feature a host of activities including workshops, vendors, non-stop performances, a dinner dance and more. Here’s my schedule for the weekend. If you are attending this year’s festival, I’d like to personally invite to sit in on one or more of my workshops and easy play-along jam sessions. And when you see me, come up and say hello!